May 4th in Theme Lists by Wordpress Jedi . 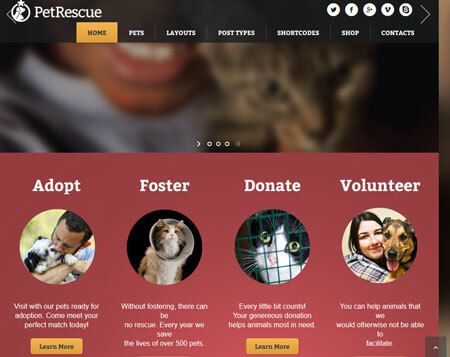 Rescue: an animal shelter theme with Petfinder integration. It is responsive and ready for Retina displays. Dogs, cats, birds, and other animal types are supported. 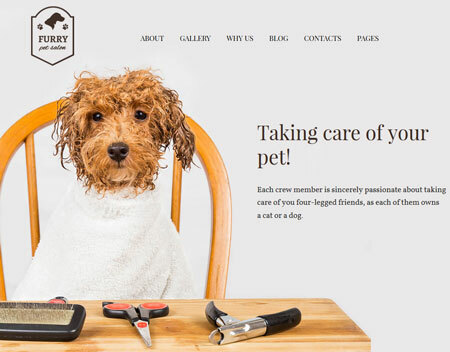 Furry: a pet grooming WordPress theme with a drag & drop page builder, multiple layout options, Google fonts integration, and a responsive design. 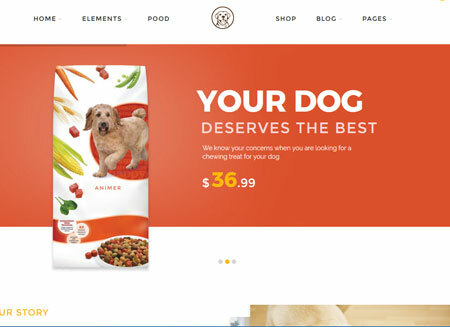 VG Petshop: a WooCommerce theme for vets, dog trainers, and animal shelters. It has 4 homepage layouts and 4 preset colors. Comes with Slider Revolution, Visual Composer, and Redux framework. 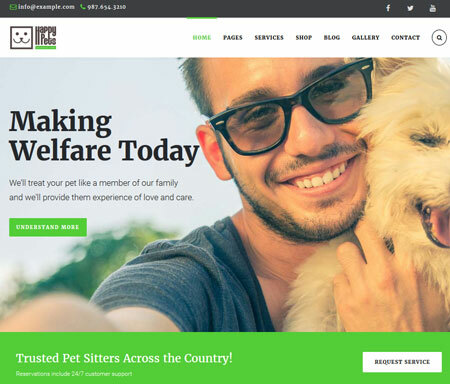 Pet Rescue: a WordPress theme for animal shelters and charity businesses. It is compatible with WooCommerce and comes integrated with the Events Calendar. 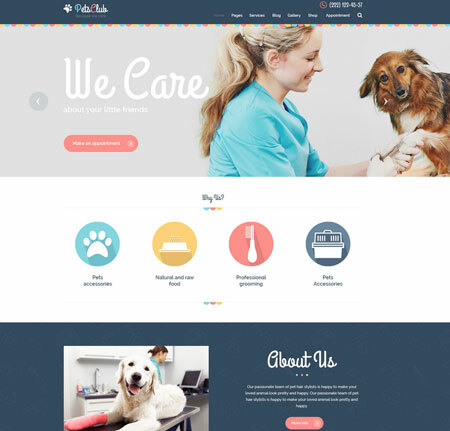 PetsVets: a WordPress theme for vets and pet care businesses. It is responsive and supports WooCommerce. You can turn off/on many of its features. 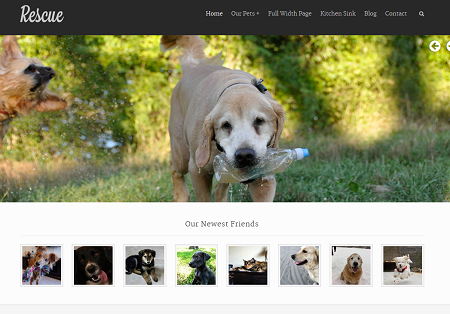 Pets Club: this cute, flexible theme has a responsive layout and multiple slider options. It is ready for WooCommerce. Comes with Flickr, Twitter, Instagram, Top 10, and other custom widgets. Pet Kennel: another theme for animal shelters, trainers, and pet caretakers. It supports WooCommerce. You can turn the footer section, top header bar, page titles, and other features off. 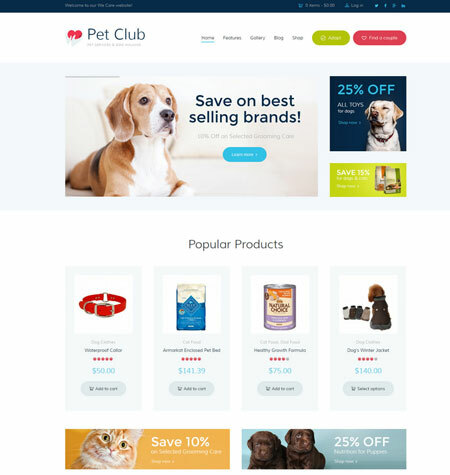 Pet Club: a theme for pet stores, veterinary clinics, dog training classes, and animal shelters. It has 5 homepage layouts and works with Visual Composer, PO Composers, the Events Calendar, and WooCommerce. 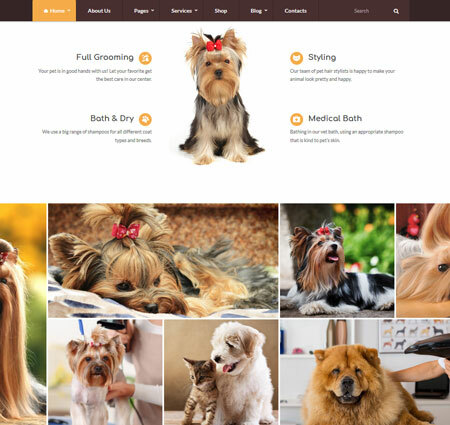 Grooming: a fully responsive theme with WooCommerce support. Thanks to Visual Composer, you can create custom layouts via drag & drop. Revolution & Swiper sliders are included. 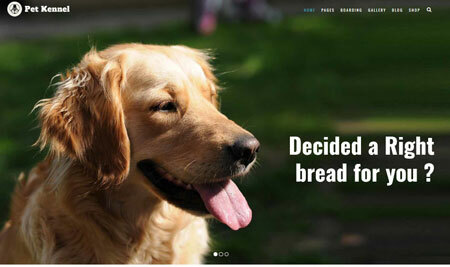 Dog theme: a responsive theme for pet sites powered by Cherry framework. It has 2 columns, custom post types for testimonials, team, and services, and various page templates. 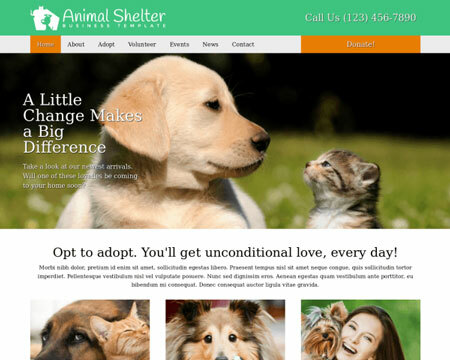 Animal Shelter: this theme lets you promote your services, staff members, adoption fees, and other relevant info. It is ready for mobile devices. It comes with a volunteer application form built in. 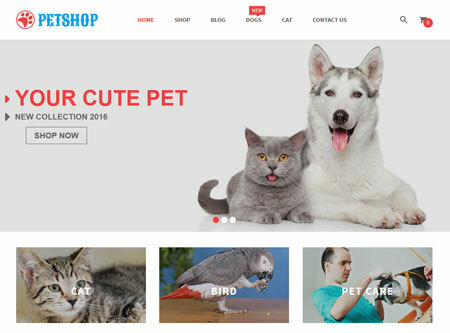 Happy Pets: a responsive Visual Composer theme for pet shops and service providers. Supports RTL languages. With WebnusTheme options, you can change header, styling, background, and other options easily. 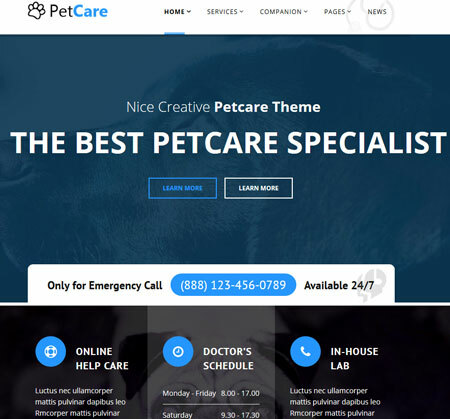 PetCare: a commercial theme for pet care specialists. It is fully responsive and comes with Visual Composer and Revolution Slider bundled. It is ready to be translated. 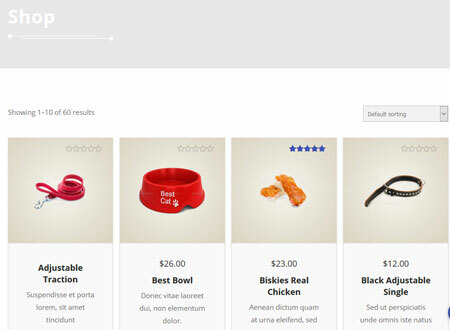 Animer: this WooCommerce theme can be used to sell pet food and services. It comes with an AJAXified shop page, 2 homepage layouts, and unlimited color options. 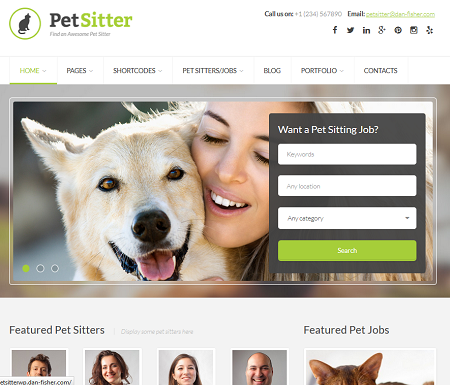 PetSitter: a job board theme for pet focused businesses. It supports WP Job Manager and integrates with Resume Manager. It supports WooCommerce. The theme comes integrated with 600+ Google fonts. 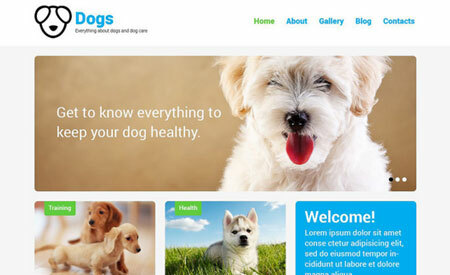 Have you found better looking themes for animal shelters? Please share them here.